I'm very pleased about the Town Center renovations. Does anyone out there have a photo or postcard of the original Town Center? The renovations are really going nicely. This is a super project going very well. Thanks to all involved in this great work of Village pride. Future-looking folks are doing great things. Our friend Chuck has brought up something really important. Town Center has great possibilities and is now undergoing renovation. If we had a hospital, it would be a great location for doctors' offices. But it is equally good for any number of small businesses and offices IF we support it with our business. We really do need to commit to not just driving to WalMart for everything because so little of that money stays local. All the best to the revitalization of Town Center. This post concerns thoughts on town center. In the last week I have made it a point to speak with residents of the village, and some of the renters that are in the town center. I was really surprised by all the ideas. In regards to making some rental agreements that would make things attractive, I learned that the owners most probable interest is to sell off the property. This may be a reason that improvements of the center is in a holding pattern. I heard a few numbers thrown around, and have to say for an investor that is determined to improve the town center, it could be purchased for a very decent price. I have heard from a few, that they think CV should look for some grant money, and possibly make the purchase themselves. I think there is some food for thought in that possibility, but I do need to research it a bit more before I will offer up my opinion. I have had the opportunity to speak with some of the young people in the area also, and was likewise surprised be their thoughts. I am just going to list the many ideas that were tossed out, and let the forum pick up the discussion from there. CV tourist information center and gift shop using volunteer employees, small meat market, barber / tattoo shop, small pet supply/ dog groomer, deli, health and nutrition, flag shop, deli, ice cream parlor, Christian book store, computer and social media center / alternative shipping center, Social Security branch office, lawyer, in addition to AA, or in concert with them, the need for a definitive NA center, veterans center, assisted living center office, laundromat / laundry and delivery service, five and dime type store, food bank, outfitters / survival / emergency preparedness kits outlet. As you can see, these ideas are very wide ranging and diverse. So many of these ideas were grounded towards retaining the John Cooper concept. Many thought we need to keep this concept, but to also build on it with modern day thoughts and possibilities. I'm really excited about ABCV. With respect to Town Center, We might start asking what are the business that folks from the Village itself drive out to the 4 Lane for and that depend on us. Why not see if they could be brought inside CV through rent breaks? What's up with what use to be the day care in Town Center? A home cleaning service could work successfully out on one of those offices. There are many ideas. Hi Mike, I believe this committee is picking up where the other left off. I have been going over the ABCV plan. I read this thread and thought it would be a good time to bring it up. The group just started up and it's in the organizational stage. I am sure I will be posting more in the forum, but really hope that we get some input from the forum as well. Going over the plan has been very beneficial to me, and hopefully everyone can do the same. It has been a launching pad so to speak for me. Improved communication with everyone is a key factor in just how successful we can be. Chuck, that's great. Much appreciated. We'd love the thoughts of those members. What committee is it? Is it a brand new one or is it the one started a couple years ago? I think that the deli did alright in town center, and it was located in the courtyard area. Not sure of the reasoning, but it seemed to fail when it moved to the South golf course. I loved having the deli there, and was a regular customer. That is one of the major issues. Getting CV residents to become more loyal customers to these efforts within the village. 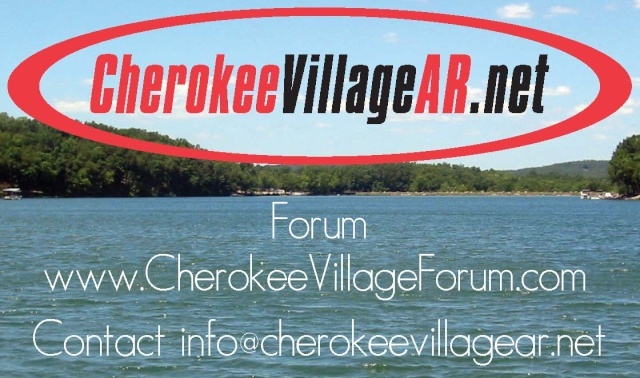 Given our current budget concerns, and issues that have been discussed, it is more important than ever to look at supporting CV local business in ways that are beneficial to Cherokee Village and its residents. I just recently joined a new planning and promotion committee that has been formed to address some of these issues, and hopefully many more. I have been vocal to them about this forum and hope that there is a place here to kick ideas around, and get the views from other people that are focused on improving CV in a positive light, and have creative ideas to help us all move forward. I would offer tremendous rent breaks to get new businesses in there. The units are sitting empty and some rent is better than no rent. Vibrancy is the key word here. I would be curious to hear from folks with a long vision of the development and uses of Town Center. Historically speaking, what kinds of stores, offices, and businesses have located in Town Center and what happened to them and why. For example, I know that there was a supermarket at one time. » The Old Town at night, Albufeira, Algarve, Part 2.